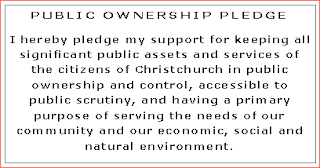 Keep Our Assets-Christchurch, a coalition of groups campaigning to retain public ownership of State-owned and Council-owned assets (both nationally and in Christchurch), is calling upon candidates for the Christchurch Mayoralty, City Council and community boards to sign a simple, unambiguous Public Ownership Pledge. 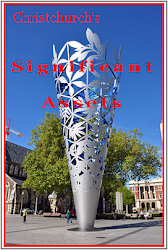 This will enable voters to make an informed choice based on which candidates do, and do not, support Christchurch retaining its Council-owned assets. 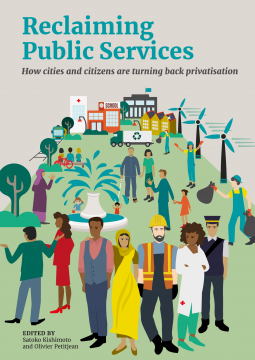 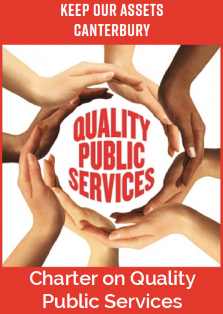 In light of the huge pressure being exerted by Government and its allies in Big Business, for some or all of our assets to be fully or partly privatised in the name of “paying for the rebuild”, this issue has never been more pressing or important. 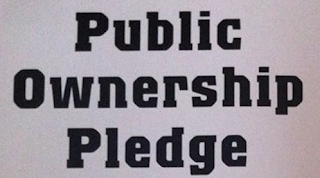 We congratulate the City Council for having steadfastly withstood this pressure thus far. 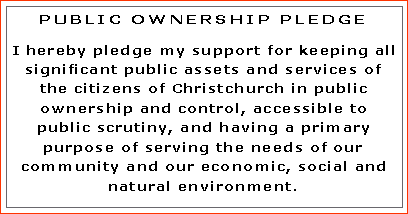 Keep Our Assets-Christchurch will be actively contacting as many candidates as possible, urging them to sign the pledge.